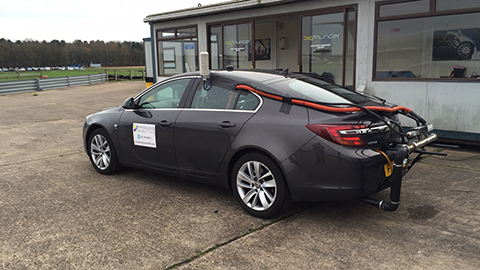 BioVersion – additional electrosmog neutralisation, like our other mobile products. Price: £340. Design: White with a Swiss Harmony Logo instead of the flower of life. The Nature Field Simulator-8Hertz (NFS 8), which was developed by D. Broers at FM Elektronik in 2007, is a technical device. It contains a permanent magnet, the field strength of which corresponds approximately to the natural earth magnetic field at a distance of 3 cm from the housing. 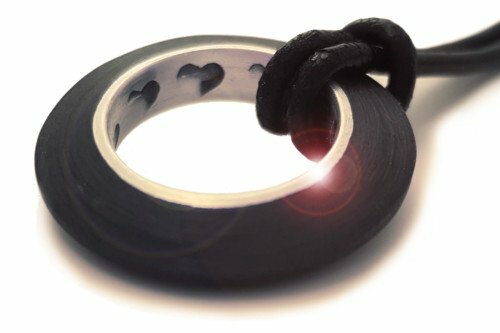 The device has an on-switch and a loop to attach either a ring or a necklace to carry the device. The loop is made of highly transparent material, the built in LED light uses this loop to shine through. Immediately after switching on, the LED will flash for about 3 seconds with a frequency of 8-Hertz. Thereafter, the LED emits a short flash of light every 8 seconds, thus making it possible to see both the operating state and the charge of the batteries. 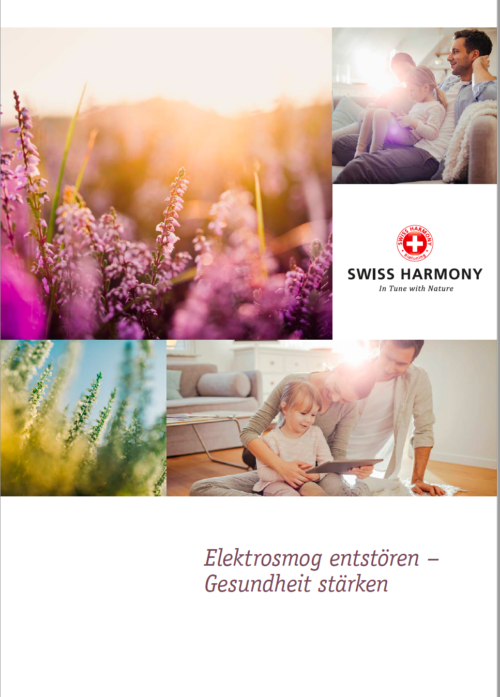 With 2 batteries with a daily use of 8 to 12 hours of switched-on time, the operating time is more than 1 year, with continuous operation (not recommended for biological reasons) 5 to 6 months. 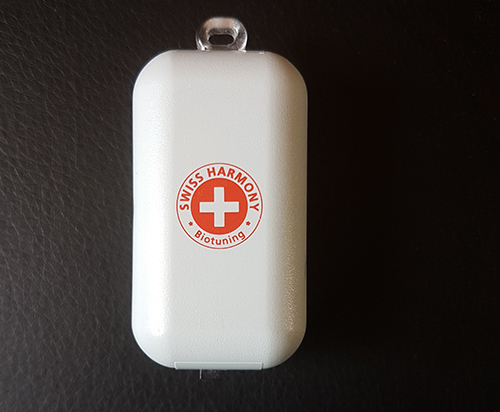 The device can also be operated with only one battery without loss of efficacy. However, the respective operating time is then halved. 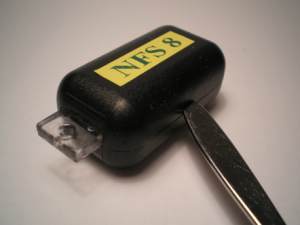 The NFS 8 device has passed the following conformity tests and carries the “CE mark”. The Nature Field Simulator NFS 8 is neither water resistant NOR waterproof. Do not get it wet. Even strong sweating can impair the function. If the Nature Field Simulator NFS 8 is, nevertheless, exposed to water, remove the batteries immediately and dry out the unit. In addition to the static magnetic field, the weak electrical alternating field, with the Schumann resonance frequency and its harmonics, is essential for the living things on Earth. These fields are “always there” and have “always been there”, so that our creation and evolution have adapted to it. In our high rise cities today, electrosmog and other disturbing fields supress this field greatly. We cannot escape this electrosmog, which is why we use the Nature Field Simulator NFS 8. It simulates the weak natural fields by a portable magnetic alternating field, with approximately 8 hertz, in such a way that the magnetic alternating field in the human body, as a result of its conductivity, again induces a weak electrical alternating field and thus a weak electrical current. 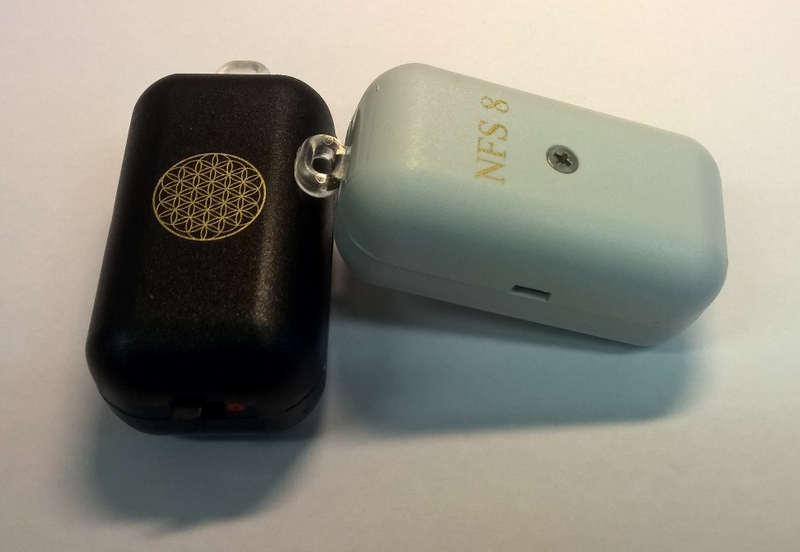 The NFS 8 device is not a so-called “esoteric product” on the other hand it is also not a medical product in the sense of the European Medical Devices Act. For the application of the device there is intentionally no medical diagnosis and also no “healing promise”. This fact must also be strictly adhered to when advertising and selling this product. First: remove the central cover screw (cross slot). Second: Open the “snap-lock” of the housing. This can easily be done with a narrow teaspoon handle or a medium sized screwdriver. Only open the housing using the side recesses! Warning! Not like this! Wrong polarity! Battery description face down! 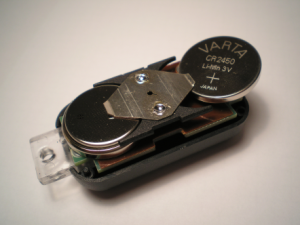 Replacement batteries must have a collar at the edge, e.g. CR 2450N from Renata / Switzerland. In retail shops a cheaper and collar-less version of the battery is usuallysold more regularly. 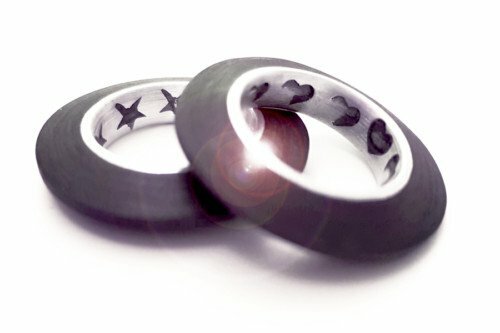 These would destroy the black plastic fork of the polarity reversal protection in the NFS 8. 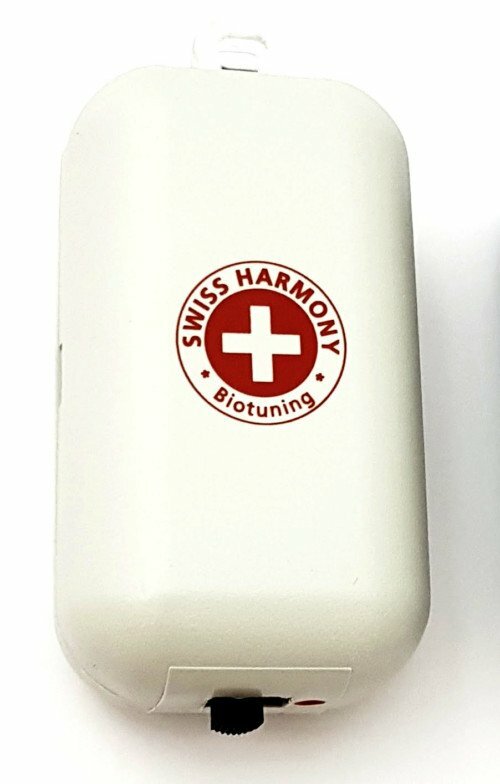 For this reason Swiss Harmony stocks spare batteries, which are available for a reasonable price. 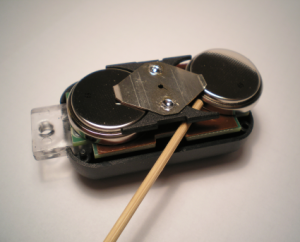 Disposal Batteries and device are not suitable for household rubbish/trash. Please dispose at your local recycling plant. The device is NOT water proof. If water reaches the inside then immediately turn off the device and open it, removing the batteries, let it dry out and/or help it dry out with a hair dryer. WARNING: Maximum operating temperature is 50°C.